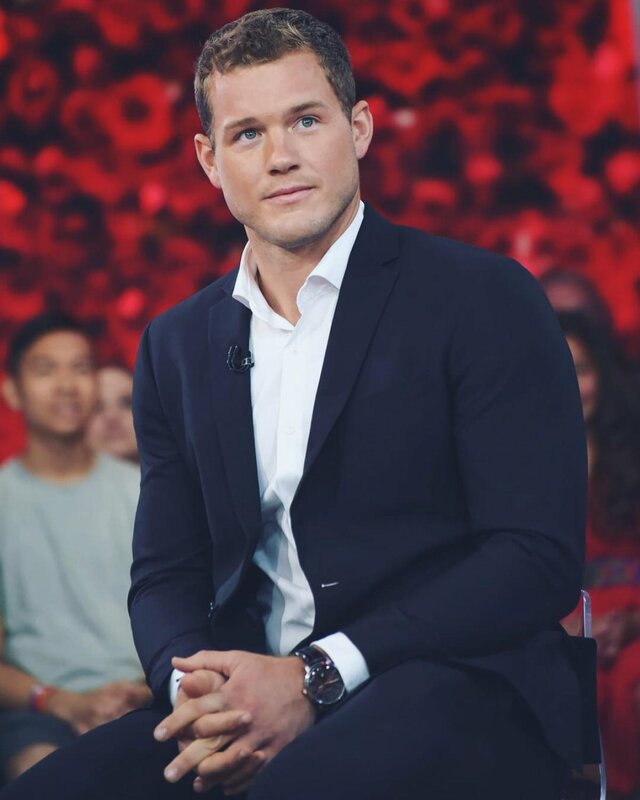 'The Bachelor' spoilers: Colton Underwood's alleged Final 4 bachelorettes revealed! The Bachelor spoilers for Colton Underwood's season allegedly give away which four bachelorettes made it to Season 23's hometown dates. [The Bachelor Spoilers Warning: Please stop reading now if you want Colton's decisions at the end of Season 23 of The Bachelor to be a surprise]. The Bachelor has already filmed Colton embarking on the women's hometown dates, and Reality Steve spoiler blogger Steve Carbone has revealed the alleged identities of the Final 4 bachelorettes. According to Carbone, Colton's last four bachelorettes standing are Hannah Godwin, a 23-year-old media manager from Birmingham, AL; Caelynn Miller-Keyes, a 23-year-old pageant queen from Asheville, NC; Tayshia Adams, a 28-year-old fitness instructor from Newport Beach, CA; and Cassie Randolph, a 23-year-old teacher from Huntington Beach, CA. Carbone claimed on Twitter late last week that hometown dates were going to begin filming Saturday, October 27 with Hannah's date in Birmingham, AL. Colton and Hannah's date reportedly took place at Vulcan Park. Colton later visited Caelynn's family in Virginia and both Cassie and Tayshia's families in California. Caelynn's hometown date allegedly taped on Monday in Fredericksburg, VA. The pair was photographed getting cozy on a horse-drawn carriage ride on Princess Anne Street. Following the carriage ride, Carbone says the former professional football player and Caelynn headed into the famed Stevenson-Doggett house on Amelia Street. Hannah is a media manager at Soca Clothing. She graduated from the University of Montevallo in 2017 with a Business Marketing degree. Hannah is a social media influencer with over 40,000 followers already and helps others promote their brands. Caelynn was Miss North Carolina 2018 and finished as the runner up in Miss USA 2018, which also featured Hannah Brown, Miss Alabama 2018 in it. Caelynn graduated from Virginia Commonwealth University with a degree in Broadcast Journalism. A sexual assault survivor in college, her platform is to improve Title IX policies for sexual assault survivors on college campuses. Tayshia graduated Concordia University in Irvine, CA in 2012 with a B.S. in Biology Medical Science. She works at Soul Cycle in Newport Beach. Tayshia was previously married. Her ex-husband, Josh Bourelle, filed for divorce on October 11, 2017. Cassie is an ESL teacher at an adult school in Huntington Beach, CA. Cassie graduated from Biola University in 2016 with a B.S. in Communication Sciences. Cassie's sister Michelle is apparently dating Gregg Sulkin, who was previously linked to actress Bella Thorne. Once Colton determines his Final 3 bachelorettes, he will enjoy overnight Fantasy Suite dates. And eventually, Colton must pick his winning lady and potential fiancee. In addition to these four beautiful ladies, Carbone has also leaked 25 other alleged bachelorettes who will be competing for Colton's affection. Colton is a 26-year-old cystic fibrosis charity founder who competed on Becca Kufrin's season of The Bachelorette and finished in fourth place before appearing on Season 5 of Bachelor in Paradise this past summer, when he briefly dated Tia Booth. Colton will have many impressive girls to choose from when The Bachelor's 23rd season premieres in January 2019 on ABC.